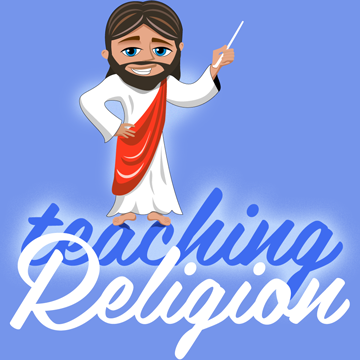 By teaching the Resurrection using eyewitness accounts and a classroom meditation, teachers create a powerful experience to help students believe. 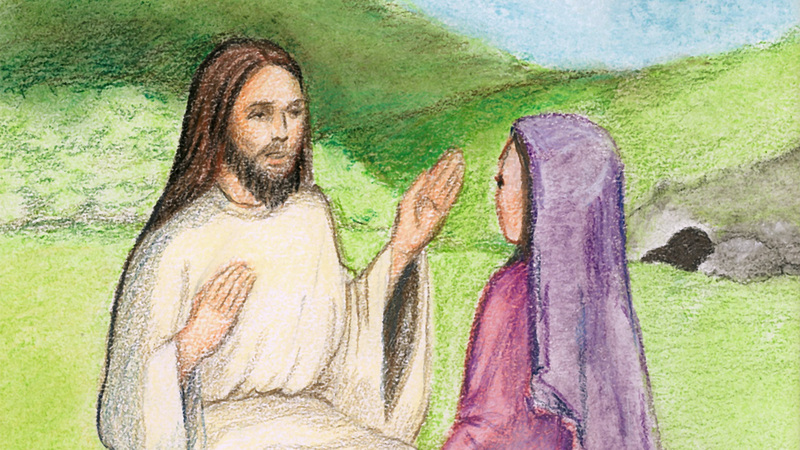 This lesson plan presents the joyous moment at the tomb, when the Risen Christ first appears to Mary Magdalene. Also included are Bible stories, lecture material, and question sets. Striking illustrations and a large-screen video are set to the lyrics of Austin Mile’s popular hymn, In the Garden. “Teaching the Resurrection” — a scene from the classroom meditation. Aim: To strengthen your students’ beliefs in the Resurrection of Christ through lecture, Bible study, and a classroom meditation. 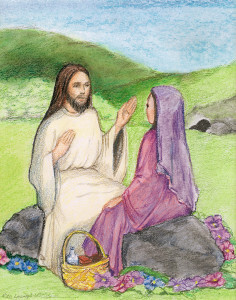 An Easter classroom meditation presents the moment when the Risen Jesus appears to Mary Magdalene after His resurrection. Beautiful, original artwork by Rita Leamy is set to Austin Miles’ popular hymn In the Garden, which recounts the story in music. Download whatever materials you need to create an effective Easter lesson plan!